This structure appears to have been a small camp meeting tabernacle, causing me to wonder if it may have been built for that purpose and later used as a barn. 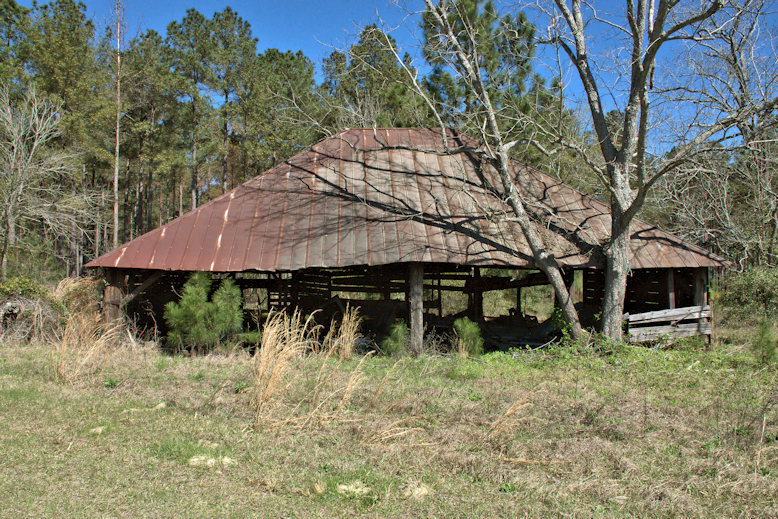 My grandfather, G.T.Dell, preached at many of these small camp meeting type locations throughout south Georgia. I have ancestors from Emanuel, Johnson, and Laurens Co., GA. mostly Webb and Beasley. I appreciate all the time you spend on your journeys taking all the photos of times past. Thank you. Sherron Dearing.